Like any international move, Moving from Italy to Netherlands requires a little preparation. A move to a new location can be a daunting experience. So it’s always useful to have a little information about your destination upfront. Intlmovers is a great way of finding international moving companies that can help you with your international Moving from Italy to Netherlands. Using Intlmovers is one of the most convenient methods of finding the best mover to meet your needs. You can save both time and money. Intlmovers allows you to compare quotes quickly and easily from up to six international moving companies at once! The movers have years of experience with Moving from Italy to Netherlands. You can avoid the stress by letting the movers manage the hard work. 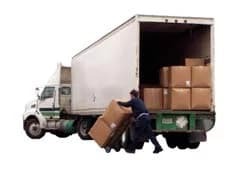 They have contacts in Netherlands which can make your removal cheaper. The Netherlands, also called Holland, is the European part of the Kingdom of the Netherlands. It is located in western Europe and borders the North Sea, Belgium and Germany. The Netherlands is one of highest densely populated and geographically low-lying countries in the world, a big part of the country is located under sea level. To be allowed to stay longer than 3 months, from Italy you are not required to obtain a visa. For a longer stay or if you are planning to work in the Netherlands you need to apply for a “Burgerservicenummer” (BSN). You need to register yourself with your local ‘gemeentehuis’. After your registration, you will automatically receive the BSN to your home address. If you are not staying for more than 3 months and don’t need to register yourself, you can arrange an appointment at the tax office to get your BSN. Once you have your BSN, the tax office is able to relate all tax issues to each individual. For instance, you will need this number to open a bank account. Furthermore it ensures that you don’t have to pay immoderate taxes on your salary. In general, the salary in the Netherlands is higher than in Spain and Italy, but lower than in Germany or the UK. However, in many cases, the employment contracts are less strict than in other countries. For example, vacation days and Christmas bonuses are often negotiable. Working full time in the Netherlands means working for 38-40 hours a week. You need to be aware of the health insurance system in the Netherlands. Everyone is obligated to be medically insured. This also applies to people who are working and paying taxes in the Netherlands, but not living there. Although you may have a health insurance in another country, it is an obligation to have health insurance. The international movers partnering with Intlmovers are all highly reputable professionals. They are industry specialists from the world of shipping and logistics. Their experienced skills have a proven customer service record in the industry. They have expertise in both personal and business shipping. Enjoy a stress free move, and relax knowing that your shipment is being well managed throughout your international move. Take advantage of the extensive levels of international moving company professional experience. Enjoy Moving from Italy to Netherlands. Receive up to six international moving quotes with one single request on Intlmovers. Make your decision making process so much easier! Even though you can receive up to six quote responses, remember that you are under no obligation to accept any of them. Take your time, and evaluate the responses that you have. Compare services, compare costs, and make sure that you are happy with the information that has been provided to you. Make your selection from there for your Moving from Italy to Netherlands. When you use Intlmovers to compare quotes, it’s both cost free and obligation free!